Legs and glutes are a very important category when it comes to women’s fitness. Having strong and shapely legs is important for both men and women but when it comes to a woman, strong legs could significantly improve their physique. You must work your legs and glutes at least once or sometimes twice a week. Many fear the pain that typical leg day gives and hence skip them, but over a period you will realize that all the pain is definitely worth it. Before you kick start your weight loss and toning journey with the following exercises, make sure to stretch. Doing proper stretches can help you prepare your muscles for the workout, and prevent injuries. Start with body weight squats. Squats are the backbone of leg workouts. When you squat regularly, you are engaging your glutes which will in turn give you that amazing lower body shape. However, you need to start simple. The idea is to make sure that you do your variation right without paying too much attention to the weights. Many people tend to squat shallow, but the goal is to get their booty parallel to their knees. This puts strain on your quads, and will really engage your glute muscles. Leg curl can be performed on a prone or standing leg curl machine. It’s very important not to skip hamstrings on leg day. I do not recommend the popular exercise stiff leg deadlifts. When performing any exercise it’s important to move through a full range of motion. Stiff leg dead lifts do not move though any range of motion. More or it less just hyperextends the muscle causing soreness the next day. This is often confused as a good exercise, but in reality it puts the knee and hamstring muscle in a dangerous movement. Stand with your deadlifts with your feet shoulder width. It’s important to always have your head in a natural position, or look up slightly. Avoid looking down when performing this exercise or you will put unwanted strain on your lower back. Deadlifts are a very effective exercise, but can be dangerous if done wrong. 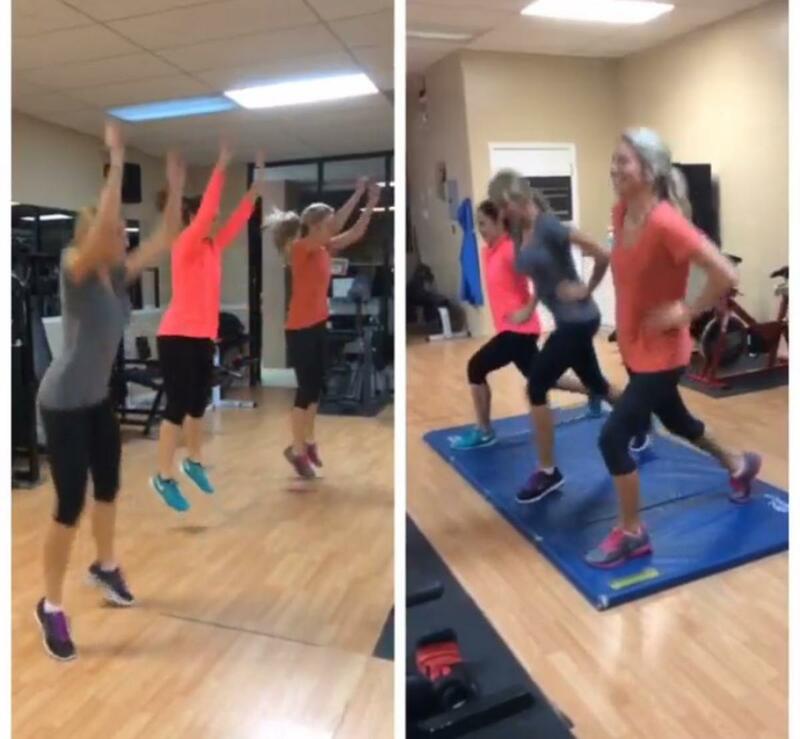 With the guidance of one of our personal trainers in Jacksonville this exercise can add great benefits to your leg day. Lunges are a must for developing strong glutes and thighs. There are many variations, and important to change them often. When performing lunges be careful to lower your back knee almost all the way to the ground. This exercise should be performed in a slow controlled motion. Make sure you do not let you front knee to pass over your toe.